Matchbox Twenty and SwivelVR bring you the first fan controlled virtual reality experience ever. See Rob, Paul, Kyle and Brian more intimately than ever before – watch, gaze, control and enjoy exclusive content produced for the best 4K Virtual Reality 360 3D and 360 2D Matchbox Twenty experiences from their Brief History of Everything Tour in 2017. 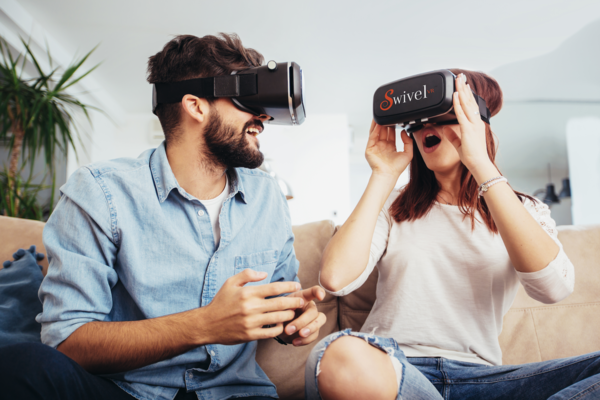 Unlike any other VR viewing experience, SwivelVR allows fans to interact and change your point of view with simple, intuitive hands free in app navigation that allows you to create your own experience. Visually switch VR camera views, watch picture in picture, navigate band information, take in-app concert snapshots without leaving your VR concert experience and share them on social media or simply gaze and save them to your photos for later. Create unforgettable memories in VR with band exclusives and more (VR menu extras are different for every concert). The SwivelVR app is the first VR App that allows you to relax and enjoy a new experience every time you watch! No VR Glasses? No problem. The SwivelVR App offers VR 360 in 3D AND in 360 2D so you can either use a VR device or simply hold your phone in your hand and swipe or move to see the complete 360 view with all the extras . Download the SwivelVR app for free from the Apple Store or Google Play and receive a free multi camera song experience from Matchbox Twenty's 2017 Tour stop at the Bridgestone Arena in Nashville, Tennessee. The free singles will be available every week until the release of the Complete VR Concert on the anniversary of their tour July 12, 2018. An explanation of how the app works is included with the App download.